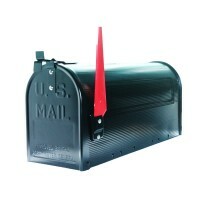 Size: 3 inch tall, 3/16" thickness Material: Solid Brass Finish: 619/US15 Satin Nickel Ave..
T1 Rural Mailbox Style.Simple to Use and Install Kit.Includes: Plastic Red Flag and Latches.Made of ..
- Fits Doors 1-3/8" to 2-1/8" 180 Degree Viewer, 9/16" Hole Plastic Lens ..
Material: Solid Brass. Size: 4 Inch tall; Average Wide 2.6" . Raised: 1/4" . 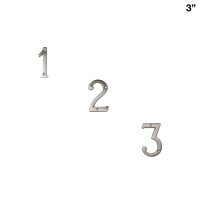 Screws: in..
House Numbers, House Letters, Home Letters, Address Numbers, Address Letters at RPM! 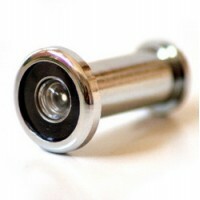 We are your one stop source for quality door and bathroom hardware. 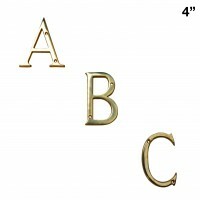 We feature high quality hinges, bolts, house numbers stoppers and a full line of bathroom accessories. We sell directly to do-it-yourself'ers, contractors and builders alike. Try our products, you'll love the quality, service and price!